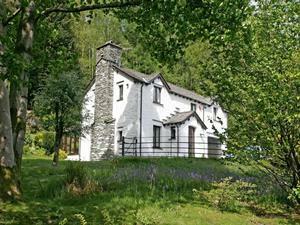 Authentic rural Lakeland farmstead standing in well-maintained grounds beside small wood sheltering wildlife. 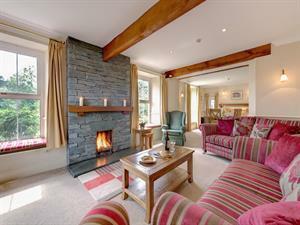 Peaceful setting, beautiful outlook over Borrowdale with walks from the door to lake, river, woodland and fells. Owner operated. 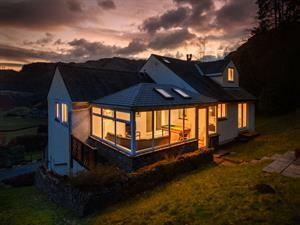 These two traditional Lakeland cottages are beautifully situated in Great Langdale valley in the heart of the Lake District where there are numerous walks to suit all abilities and ambitions. 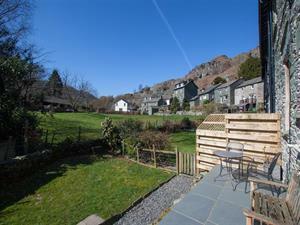 This charming Grade II Listed cottage is in a lovely peaceful location at the foot of the fell no more than 10 minutes walk from Coniston village where there are a good selection of shops and a number of pubs. Luxury country house with superb views. Excellent walking area 15 minutes from Keswick. Five bedrooms and 4 bathrooms, large lounge, open fire, garden room, large kitchen/dining room, utility, CH, double-glazing and cycle storage. 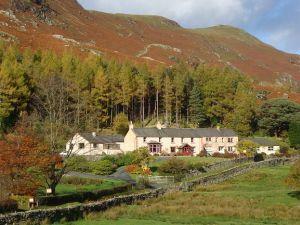 The views down the Borrowdale valley from the cottage must be some of the best in the area. The location is so peaceful and has great walks from the doorstep. 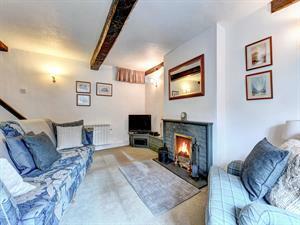 The sitting room has an electric log effect fire. 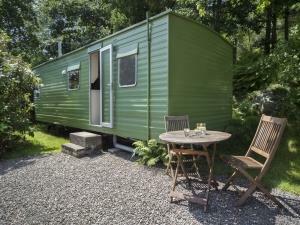 Retro caravan in great condition with two bedrooms sleeping 4. Elevated sheltered position tucked at the foot of our small wooded fell side, home to our resident pair of tawny owls, red squirrels and wood peckers. 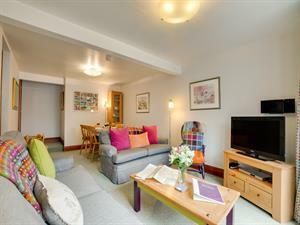 Located in the heart of Elterwater village this gorgeous Lakeland Cottage will provide you with the perfect "home from home" for your next holiday in the Lake District! 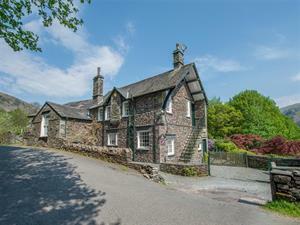 Daw Bank is a traditional Lakeland slate cottage located in an enviable position right in the centre of Chapel Stile with the excellent village store just a stone's throw away and Wainwrights Inn just a short stroll. 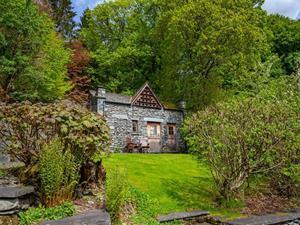 This is a real little gem but far removed from the average self-catering cottage - better described as a little bit 'quirky', it is known to have been short-listed for the role of Bilbo Baggins' house in Lord of the Rings. 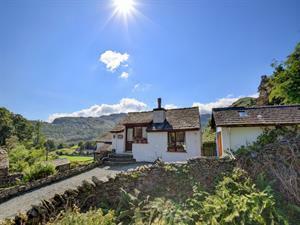 Close to Elterwater village Mere Syke Cottage is a great property for a family holiday. Sleeps up to 6, well equipped and spacious. The views at Mere Syke are stunning, it will be a struggle to leave! 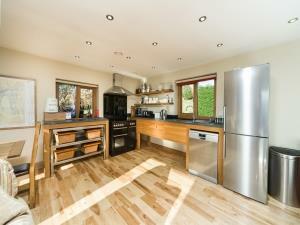 An impressive detached property with a beautiful 2 acre garden. The property boasts stylish and comfortable accommodation. 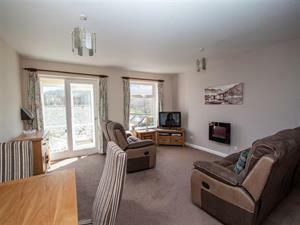 A spacious and tastefully decorated property situated in a fantastic location. 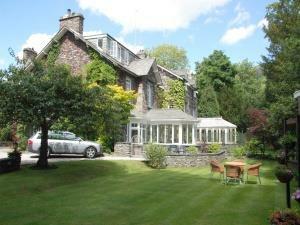 Fell View is a converted workshop which now provides superb self-catering accommodation in the heart of the Lakes. 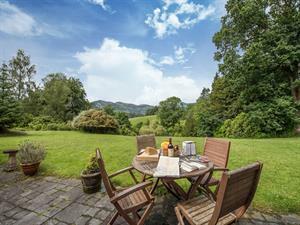 The property enjoys elevated views across Elterwater. Oak Cottage is full of character! 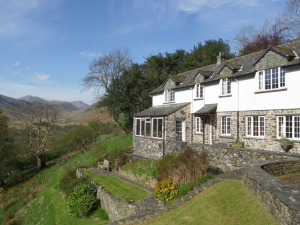 Built in the 1850's this Lake District holiday cottage is split over four floors. Sleeping up to 6 people a holiday here will be memorable! 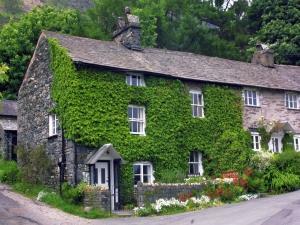 Located in the centre of Grasmere village Spinners really does have everything on its doorstep. Being well equipped and beautifully finished this property offers everything you need for a fantastic self catering holiday. 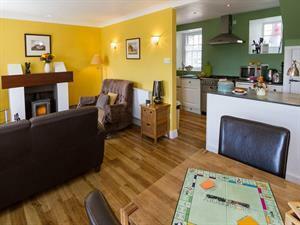 A beautifully furnished property, sleeping 11 people and situated on the slopes of Silver Howe. With stunning views it offers a high level of comfort and space. Enjoy the scenery at Spedding Fold. 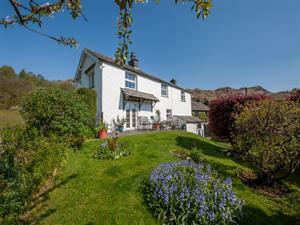 This delightful property sleeps up to 10 and has beautiful views over Langdale. 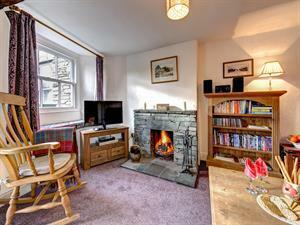 Megs Beck Cottage is a charming cottage within Langdale Valley. 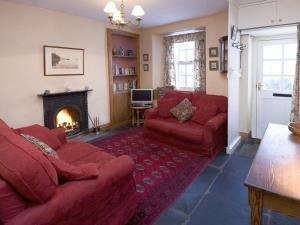 Sleeping up to 4 people this cottage is perfect for a break away with friends or family. 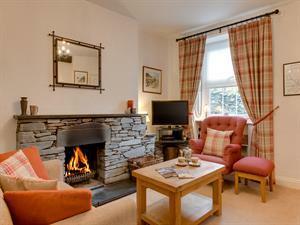 Centrally located and overlooking Elterwater village bowling green, Rose Cottage is a delightful place for a holiday. Full of character, it sleeps 4 people. Relax and enjoy.